With a little change from normal ingredients like tofu and salty vegetables, you can create one of stunning Vietnamese Food Recipes. 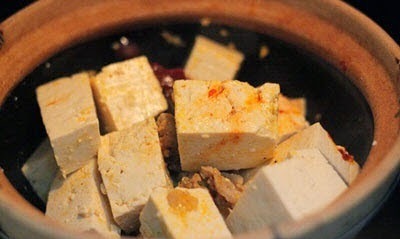 And this dish is called Stewed Tofu with Salty Vegetables (Đậu Hũ Om Dưa Chua). 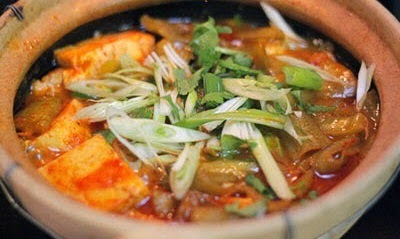 Moreover, it is combined with sour and spicy sauce which will help to increase the specific flavor in your mouth. Eating with boiled rice and hot soup is my recommendation. So, are you ready to cook one of amazing Vietnamese Food Recipes like this one with us? If you say yes, please follow my instruction below carefully. Summer is coming soon, and this dish is really suitable for your family meal. Let us together start cooking right now. Step 1: Marinate grinded pork with 1 teaspoon salt, a little pepper and minced purple onion. Mix well and wait in 10 – 20 minutes. 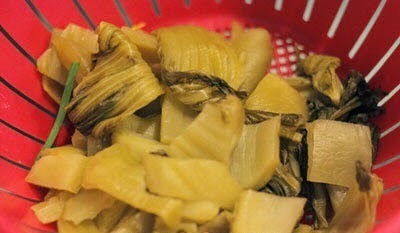 Step 2: Cut off the leaves of salty vegetables. Slice small and wash many times with water. 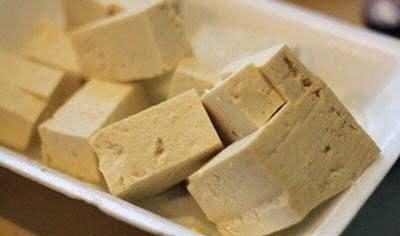 Step 3: Clean and slice tofu into small cubes. 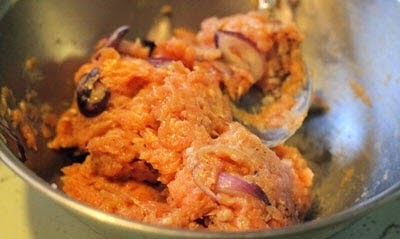 Step 4: Heat the oil (2 – 3 teaspoons), add minced purple onion and fry until it is fragrant. Next, add more grinded pork in step 1 and fry quickly in 5 – 7 minutes. 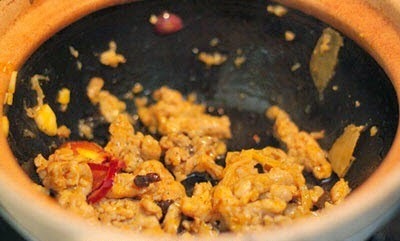 Here is also the first step to create the flavor for one of stunning Vietnamese Food Recipes. 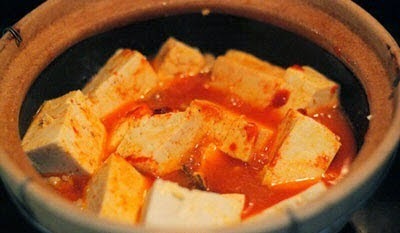 Step 5: Then, add more sliced tofu and Korean chili sauce into pot, shake gently and well, continue to cook and remember to cover the pot. Step 6: Cook about 10 minutes, open the lid, season with a little fish sauce and sugar. Next, continue to cook with small heat until it boils. Step 7: Continue to add more sliced salty vegetable into pot. If water is nearly run out, add more hot water. Continue to stew more 25 – 30 minutes. Finally, season the last time to suit your flavor and turn off the heat. Sprinkle more sliced spring onion and pepper to increase its flavor. I suggest you should eat when it is hot. Trust me; you will never regret with this decision. 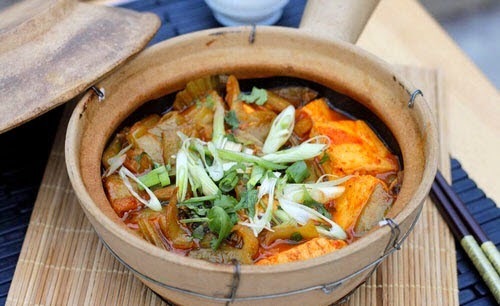 Hope you will have a good appetite and do not miss our other stunning Vietnamese Food Recipes. Good Luck for your Cooking.